Today we’ll be showing you how you can estimate the total duty and tax you would be charged for importing goods into the UK from a country outside of the European Union. In general, goods purchased from the EU should already be “duty paid” therefore they are in free circulation within the EU and you won’t be charged any duty! So if you find a product in Germany or France you wish to acquire and send back to the UK, it’s as easy as arranging a collection from London to be sent to Birmingham through ParcelBroker! When you purchase products from overseas countries for delivery to the UK, the senders of the products should complete a commercial invoice and send this with the parcel. 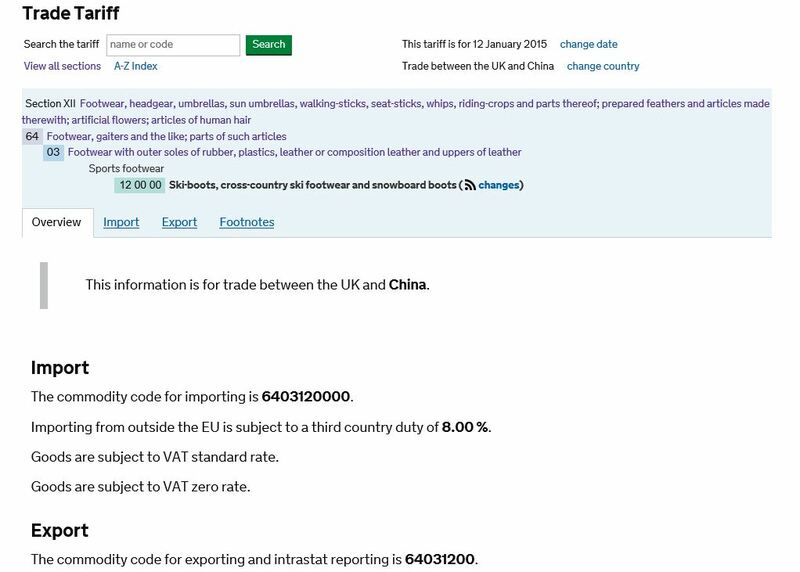 The commercial invoice is there to show UK customs the value of the product/s entering the UK along with the total cost of shipping and insurance. This combined figure of product value, shipping cost and shipping insurance will be used as the “value” of your goods. One important thing to remember is that the sender of the goods should NOT be charging you any local sales tax (similar to VAT) on your purchase. This is because you will be paying VAT to HMRC customs on entry of the goods into the UK. Now you have the total value of the goods including shipping and insurance, it should be easy to work out the VAT portion. VAT is currently 20%, so the VAT charged on a total value of £1000 is going to be £200. If the value of the goods + cost of shipping and insurance is under £15 (£36 for gifts) then no VAT is due. If you are a VAT registered business you’ll be able to claim the VAT portion back on your VAT return (using a C79 form). The next job is to work out how much duty you will be charged (It is worth noting that HMRC customs will also add 20% VAT onto the duty charges). To calculate duty, you must first “Classify” your goods using the UK TRADE TARIFF. The trade tariff is a tool you can use to find the “Harmonised” code for your product/s (sometimes called “commodity codes”). The Harmonised code system (HS CODE) is a globally universal system which is shared by all countries to identify and classify just about every product ever created and in circulation! This means that regardless of which countries the goods are travelling to and from, the HS CODE will ensure the goods are treated correctly as they pass in and out of customs authorities. To use the Trade Tariff, first ensure you set the country you are importing from. This is important as the UK has set up trade agreements with some countries which can reduce duties. 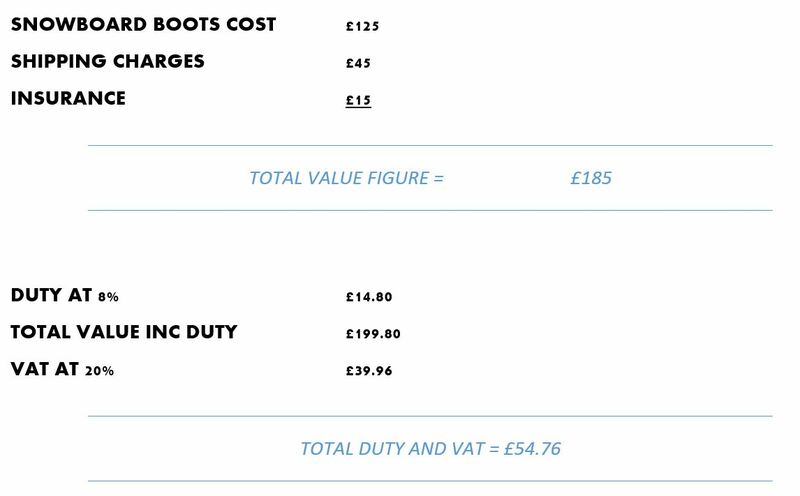 As you can see, the snowboard boots would attract a duty amount of 8% of the total value of product, shipping charges and insurance. Don’t forget, 20% VAT will be added to the duty figure as well. Information for guidance only, we do not accept any liability for errors, omissions, inaccuracies or misinterpretation. Customs regulations and procedures can change without notice.